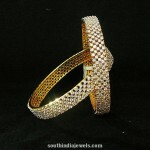 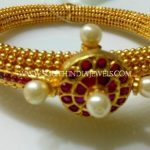 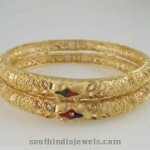 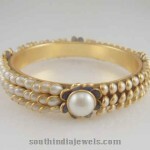 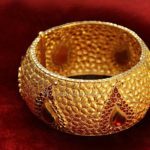 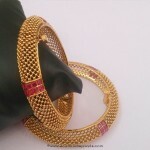 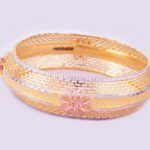 1 Gram gold Jewellery bangle from Rashi Gems and Jewelry. 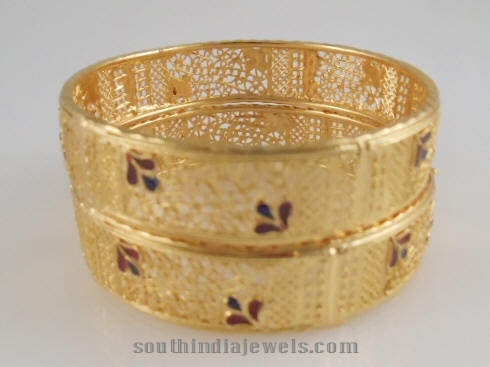 Broad bracelet type bangle with floral enamel work. 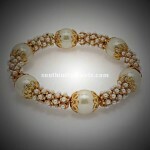 To buy this online, please check gems@rashiinc.com.